If these were any sweeter, I'd have to eat them! Simply Gorgeous! 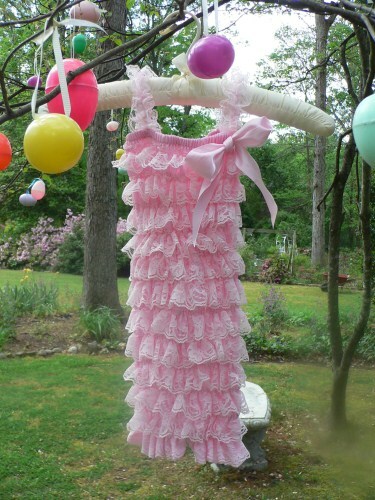 Sweet pink lace pettiromper. Perfect for pictures! Perfect for Mother's Day! Just Perfect! 3 sizes available: Small fits 0-6 months, Medium fits 6-12 months, Large fits 12-24 months.